Enjoy our colourful, delicious breakfast buffet! The friendly ladies will be glad to spoil you with freshly prepared egg specialities. For tea lovers the tea is made a la minute with really boiling water. In the evenings we offer dinner snacks for our guests who prefer not to leave the premises again. What about a nice steak? Beef or Game? Home made soup? Toasted Sandwich? Large Salad? 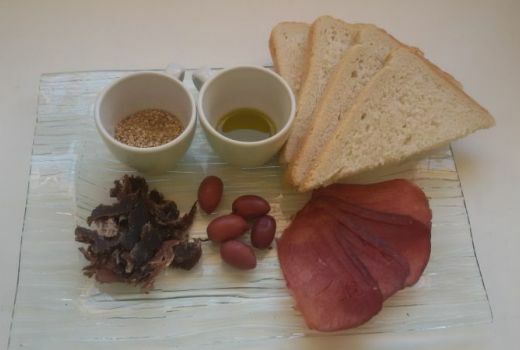 Or a Namibian Snack platter with Dukkah, Smoked meat and more delicious things? We offer delicious, cold Namibian Beer, brewed according to the "Reinheitsgebot". And of course the typical Namibian Sundowner drink "Gin Tonic" and other beverages are available. If you prefer to sit under the large trees, on the balcony, in the lapa bar or with the feet in the refreshing pool: simply relax and enjoy! 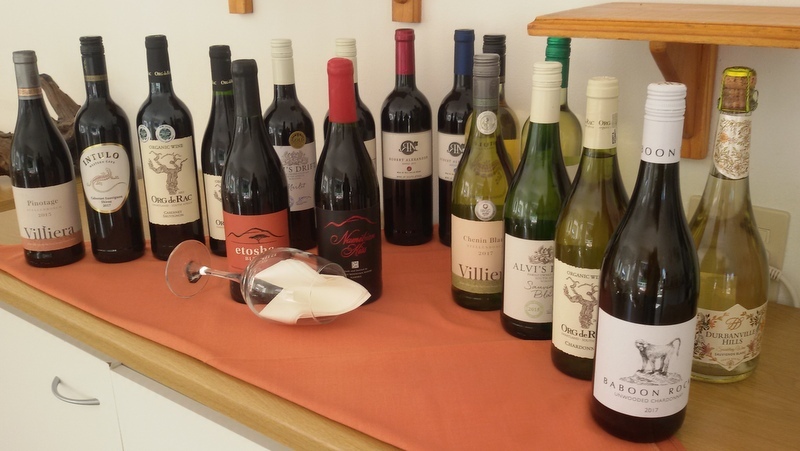 A nice variety of South African Wines for you to choose from!